The product Nail Fungus No More was created by Forces of Nature, which also created a large number of other products that contain very similar ingredients. The main ingredients are Clove Oil and Geranium. This is an all-natural product that claims to be safe and provides no side effects. Overall, this is a very expensive treatment with the huge price tag of $69.95. The bottle contains 33 ml. While they do have a smaller bottle containing 11 ml, this is only enough to be considered a trial offer in our book. The small bottle does not contain nearly enough treatment to be effective or even get you to the point where the product is starting to work. The method of use is a little curious to us. The product is intended to be dropped on your nail and then rubbed in. While this may seem like a good way to apply a treatment, nail fungus spreads very easily from nail to nail. This means that you are risking infecting a healthy nail while treating the affected nail. While the bottle doesn’t specifically say so, if you use this product make sure to wash your hands thoroughly after use to prevent the spread of the nail fungus. This product comes in two different strengths: regular strength and extra strength. Unfortunately, we found their customer service is lacking in knowledge about their own product. They were not able to answer common questions such as how the product is supposed to be used. We feel that the lack of information from customer service is because they support the wide variety of products the company offers. Because of the large number of products offered, customer service cannot possibly have the level of expertise that an effective, branded company is able to provide. We feel that this product is extremely expensive for a product that is considered an all-natural blend. While they do offer a smaller bottle for a lot less money, we found that quantity of the product is completely ineffective when it comes to treating nail fungus. While this product does offer some potential in other areas, there are many other products that are more effective and come at a much better price. We did find that this product worked for some people but most reported that it was at the beginning of an infection. We found that the ingredients are not strong enough to make it effective for everyone, or effective for an established infection. The company should add more effective anti-fungal ingredients and reduce the price considerably. If they were to do this, we would offer them a much better rating. This product is among the most expensive on the market. 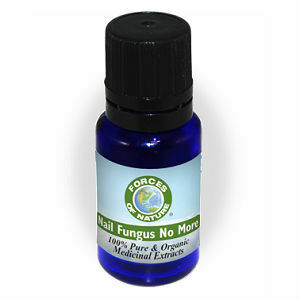 Jack Stevens	reviewed Nail Fungus No More	on January 4th	 and gave it a rating of 3.5.